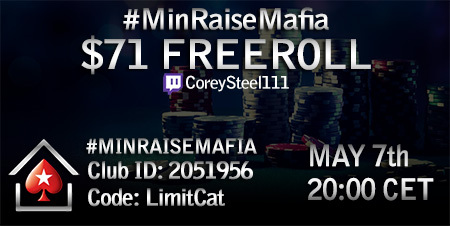 I opened #MinRaiseMafia homegame on PokerStars in order for us Limit Hold'em players to connect and to play a game or two, specially during my livestreams. 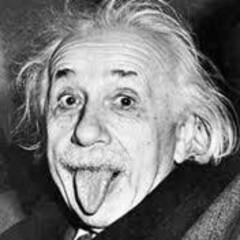 Of course non-limit weird people are invited as well! 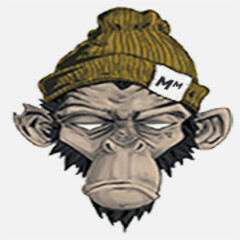 Previous week I did a freeroll where I gave out Sunday Million ticket and bunch of Sunday Storm tickets, but the limit was reached really fast (no pun intended), so unfortunately I couldn't promote it here on PStrategy. Here are the details you need in order to join #MinRaiseMafia homegame. And details for the freeroll. 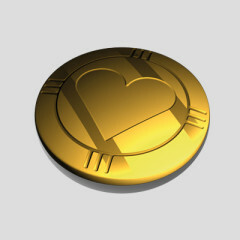 And of course I'll inform whenever anything else will be happening in our little club. Tell her that I've said that we can't do this one without you! Of course non-limit weird people are invited as well! I'm in. I played 1 Limit Hold'em many years ago. Be good to try again. Hey Matt, thanks for playing! New $50 #MinRaiseMafia Freeroll this saturday during my Twitch livestream. This time it won't take four hours to complete, I promise! Just wanted to post a reminder for today. Freeroll start at 21:00 CET. 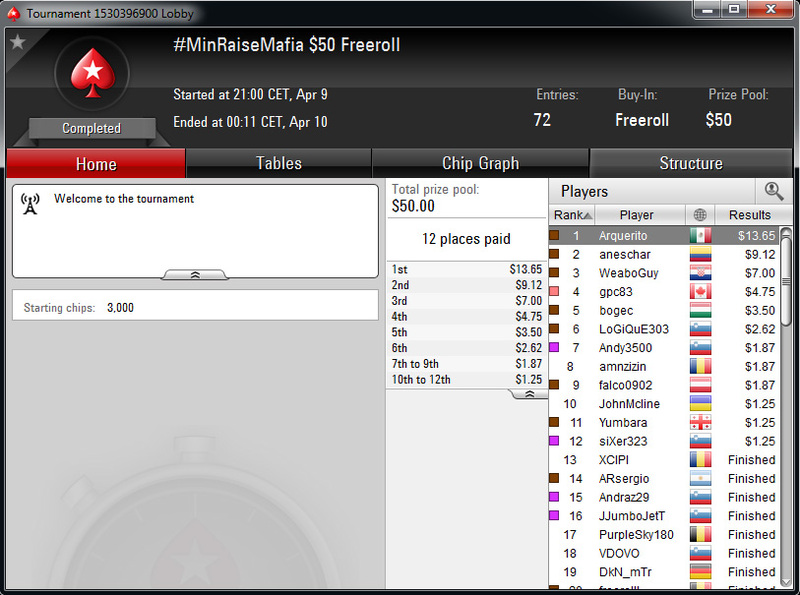 Results of the 2nd #MinRaiseMafia Freeroll. Thanks everyone for playing. Here's limit cat high-5 for ya! 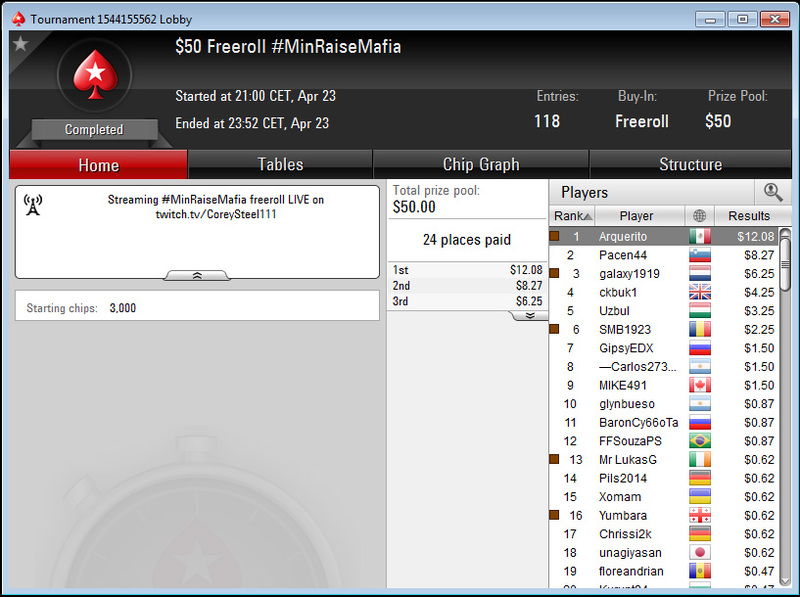 As promised, here's another Freeroll Satellite in #MinRaiseMafia Homegame club. 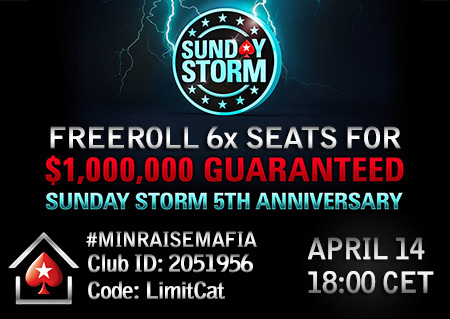 This time giving away 6 seats for 5th Anniversary Sunday Storm. Freeroll starts tomorrow (Thursday) at 18:00 CET, registration opens at 10:00. 1. You need a password for registration, which will be handed out during the PSO livestream tonight, starting at 21:00 CET. 2. 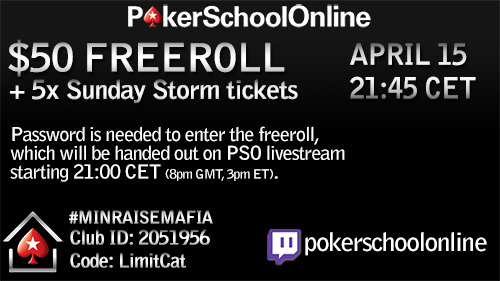 $50 prizepool is normal for everyone, but if you want to win Sunday Storm tickets as well, you need to be a member of PokerSchoolOnline ("School" button in PokerStars client). Cya guys and good luck! 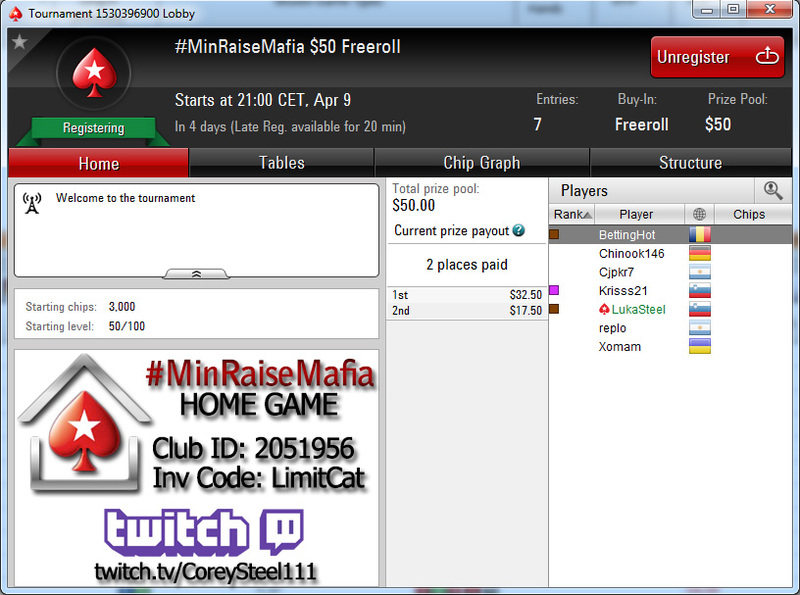 $50 Freeroll tonight at 21:00 CET (3pm ET). 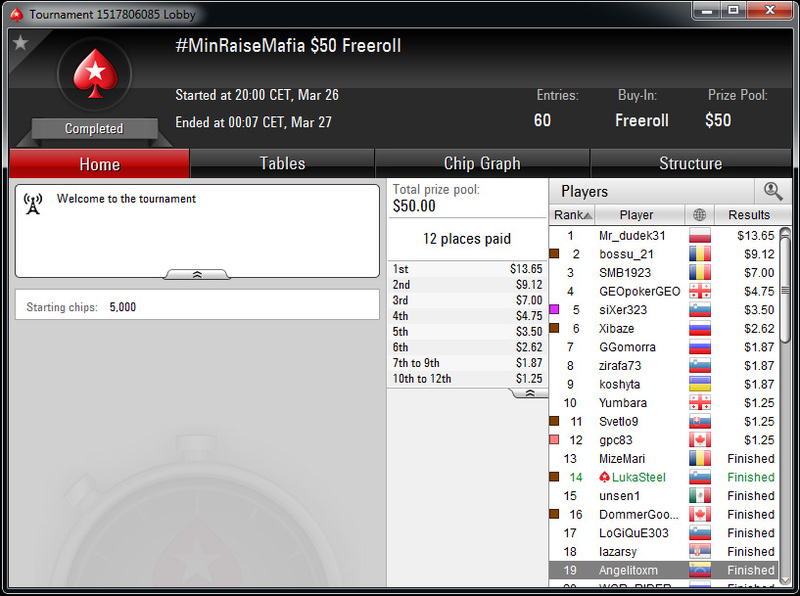 Congrats to Arquerito, who won the #MinRaiseMafia $50 Freeroll ........ For the 2nd time in a row!! 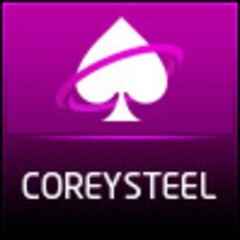 This post has been edited 1 time(s), it was last edited by CoreySteel: 07.05.2016 13:55. Tonight at 20:00 CET. Good luck! Hey Luka, whats ur plan for the next tourney? Yeah my previous freeroll was on Friday and I forgot to post it here. I'll probably have two freerolls per month and I think I'm going to password protect it as well. It seems to work best, if I reveal it during my stream + there are no dead stacks, which is pretty important. No date yet for the next one, tho!